It’s been a while since I posted, and I feel bad about that as I’d been doing really well to blog once a month. Unfortunately my new job meant I was so exhausted all the time! I’d get up at 6am every day then catch two buses to work (one of which was usually late meaning I’d have to walk or wait for ages). In for a 9am – 5:30pm work day, then catch the two buses back again to get home for around 6:45pm. That’s a pretty long day for me, especially as I’d been out of work for so long – it just took it out of me. At the beginning of the month I found myself with a bit more energy and – what probably actually helped – I’d found some inspiration for a new project. I’ve been doing some training courses at work through Pluralsight to help up my HTML and CSS skills in terms of responsive design. Through one of these courses I found Bootstrap. I’ve heard of it before, but never really looked into it. Turns out, it’s pretty damn awesome (welcome to the party, Michelle – late as ever). 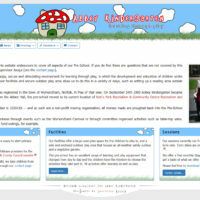 After playing around with it a bit I’ve redesigned my mum’s website. I did try to make a WordPress theme with Bootstrap, but it’s not really built for that I don’t think – not to get the most out of it anyway. 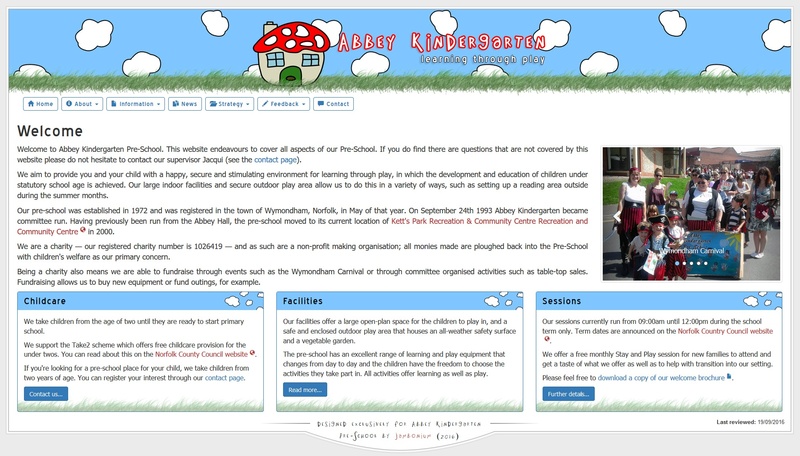 Besides, the playgroup committee weren’t really using the WordPress installation, so I didn’t see an issue reverting everything to static pages. I’ve not changed the design massively, it still has the same branding and colour scheme, it’s just a bit more friendly to use and definitely better looking on mobile devices. 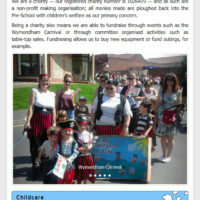 I’m really chuffed with the way it works and I definitely feel my knowledge of responsive design has improved. Written by Author Michelle-Louise in the category "Categories Coding, Personal, Web Design". Tagged with: TagsBootstrap, CSS, HTML, Job, Pluralsight, Responsive Design, Web Design, Wordpress.